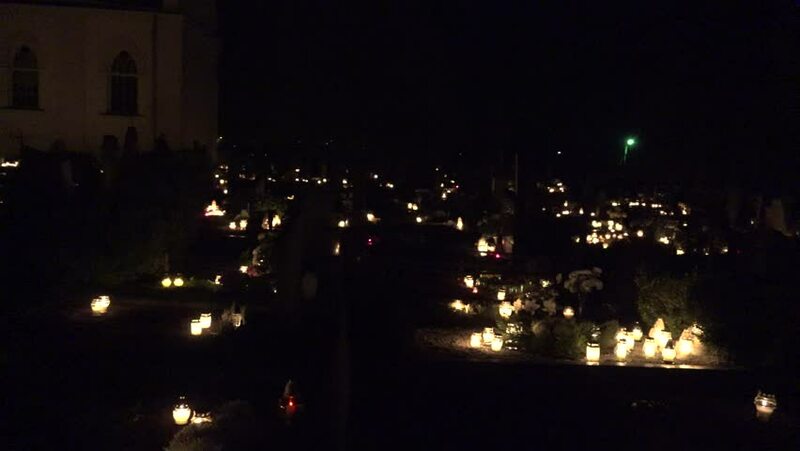 SIRVINTOS, LITHUANIA - NOVEMBER 01, 2015: The evening candle lights before All Saints Day at cemetery on November 01, 2015 in Sirvintos, Lithuania. Beauty of dead people rest place. Panorama shot. hd00:18Republic of Armenia. City of Yerevan at night time lapse video.